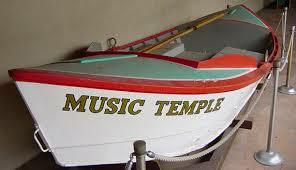 Naming the boat will soon be an issue. Seems a little premature but if I'm going to get boat letters made by A &B Sign Co in Prescott or elsewhere I need to get around to this sooner rather than later. 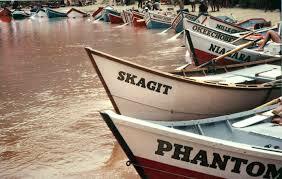 It's a big deal naming your boat. You only get one shot, since everyone knows it's really bad luck to rename one. There is probably some truth to the rumor that the Titanic, Lusitania, and Andrea Doria had other names during construction. Here are some ideas bouncing around in my head. As an aside, I recognize this is somewhat dangerous, exposing name choices in advance. Sort of like telling the entire family the final choices of a new baby's name before its birth. No one ever will agree on it. Dolores - perhaps my favorite multiday trip, done once in a kayak (with a benevolent rafter carrying all our gear, which may be why it is so fondly recalled) in the late 70's. The river is now dewatered by McPhee Res, supplying irrigation for local crops which farmers back east, due to excess production, are paid gov't subsidies to not grow. I'm told there are at least 4 other Dolores' out there though. Pemigewasset - the first real river I kayaked, on a Ledyard Canoe Club trip. This was back in the LCC days when you built or borrowed a boat and sprayskirt, wore 2 or 3 sweaters, plus a paddling jacket if you were hot stuff, and the club members pretty much said, "You'll be fine. Go for it". The only real reason I, to this day, use a left control kayak paddle is that's all that was left to borrow in the cage. Where I managed to swim twice out of the same hole (very large eddy) on the East branch. Now partially dammed over much of the run below the upper Franconia Notch section (which was not run during my day). Downside is lots of letters, which cost money for the decals. And it's a tongue twister for some. But most of us just call it the Pemi. Fond memories here. Mascoma - the river outside of West Leb, where I first raced slalom on the Ledyard CC team. Most of its course is now covered by numerous dams and mill sluices. At the bottom of the traditional slalom course, and not too far below, is one very nasty low-head dam which was there in my time and I remember too well. Toasted at the end of the second slalom run I flipped coming out of the last upstream gate, couldn't roll, and swam through the finish. Arms were dead. I bailed and my brand, newly built race kayak (fresh out of the mold with newfangled kevlar seam taping) recirculated and slowly came apart over several minutes. We all had an excellent view of the acrobatics. 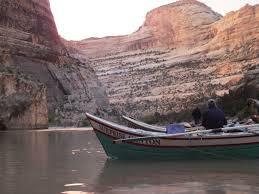 DNF for the paddler, DNR for the boat. 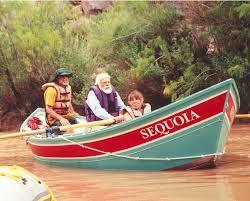 Seems like this river history would work well with what I'm told is the dory mantra - Build 'em, wreck 'em, fix 'em. Still lots of fond memories there too, mainly of other races. Ledyard - my kids like this one. Great to remember Dartmouth and the LCC, but not too sure since there's nothing that was desecrated by man to memorialize. Except maybe many brain cells during the Thursday night feed bacchanals. 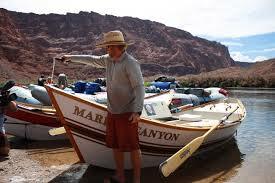 A new movie about Martin Litton and his dories will be premiered this winter and spring. 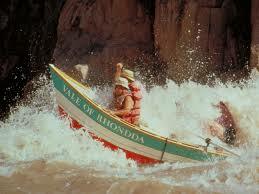 Thanks to my rafting friend Mark for giving me the heads up on this. 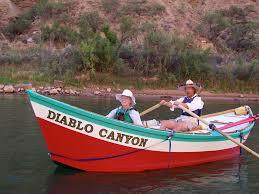 I'm going to try to make the Flagstaff showing, tying it in with a bike trip to Wickenburg. 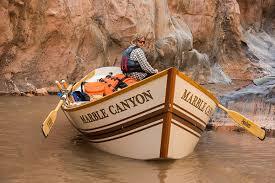 Continuing the theme of this post, the boat's name is Marble Canyon, recognizing Litton's pivotal role in saving the Grand Canyon from two dams which would have drowned the majority of the remaining free flowing river from Lee's Ferry to Lake Mead. Good stuff there. Wish I'd thought of that name first. 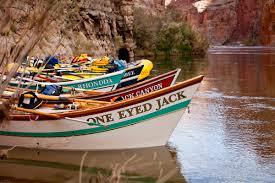 Looking for photos on recent highly-choreographed boat turn-over. Fresh content encourages frequent return visits to the site which in turn allows you to attract premium advertisers. "Barn Raising", posted yesterday should answer all of your questions! Advertisers are prob not an issue since I'm big only in one US family plus China and Israel. Are you still accepting sponsors for your site? No tawdry pecuniary issues will be allowed to sully the purity of this site.